Home|Blog|How Can Your Video's Title Help Your SEO? 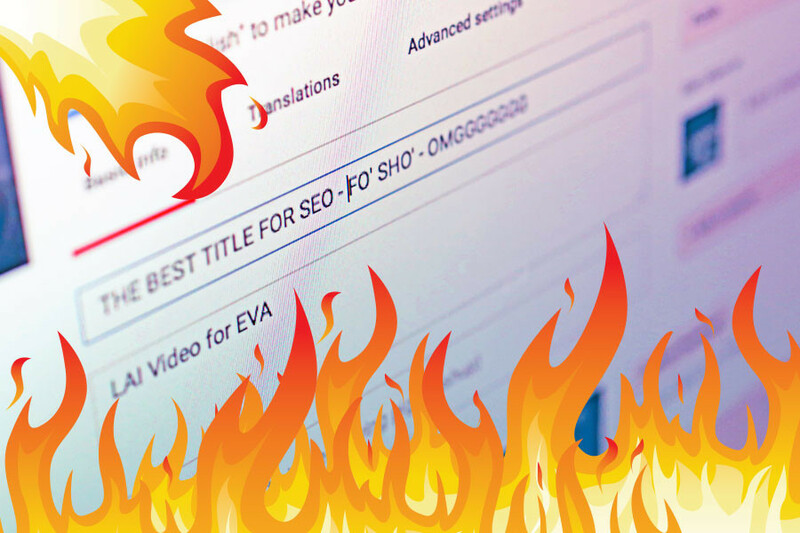 How Can Your Video's Title Help Your SEO? Well... by answering a different question like "What is Hypertension?" In 2013, we partnered with NAREIT to answer the question, "What is a REIT?". After this project's completion, we noticed a spike in online views of this video in comparison to their other videos' views. We were not contracted for this project's promotion, so naturally we gave them a call to find out their secret. They just put the video online. It turns out that most people don't know what a REIT is and to find out they frequently type in that question as a Google search. Now NAREIT not only receives brand recognition and increased search engine optimization (SEO), but they also control the messaging for this important question to their industry. So now ask yourself, "What questions can our organization answer for an online audience?". In 2005, YouTube became... well YouTube. As YouTubers experimented with various styles of messaging, some chose an on-camera freestyle approach while others simply answered questions. In 2009, Lowes started a series of answer-related questions in the form of "How-To" videos. These how-to videos have the answer to almost any home improvement/repair question a home owner might ask. Lowes became the go-to resource for how-to questions like "How to Install a Dimmer Switch for Your Home Lighting System." A common pain point for many of our partners has been misinformation. Over the years, we have participated in many conversations about how to display myths vs. facts. The best way to debunk a myth is to stop the source and educate the misinformed. Think about the last time you had a question about something. Did you call a friend? No. You typed that question into google and viewed the top results. And if you wanted further clarification, you watched a video. This behavior is so common companies like VOX built their business model around this practice. VOX answers questions on topics from, "Why cartoon characters wear gloves"
to "Syria's war: Who is fighting and why?". Q: Why did you read this blog in the first place? A: The title of the blog was a question.